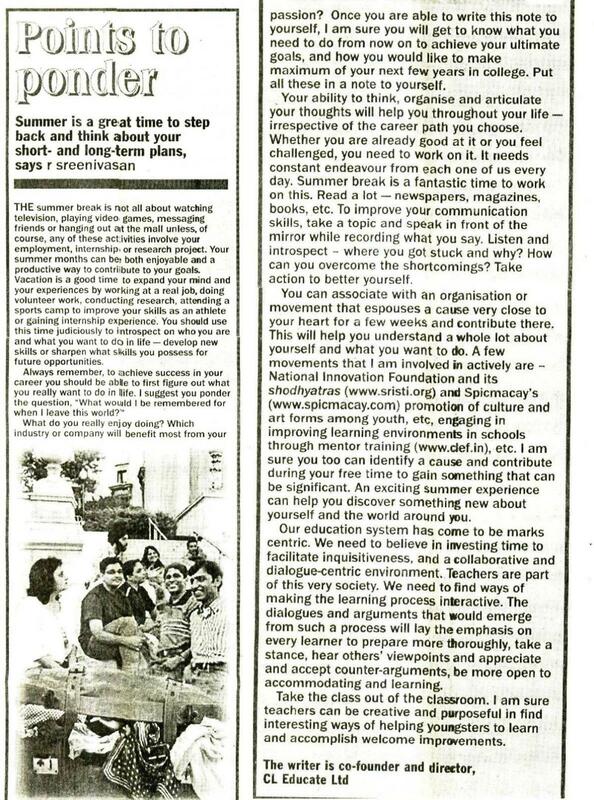 In The Statesman’s Point to Ponder column, sreeni talks about how to effectively utilize your time in summers. It gives insights into effective planning of Career and Life, and activities that you can be part of to build your career. As I shared in one of my earlier posts, Teaching – Vision, rationale and personal standards , was my response to a questionnaire sent by THE HINDU for one their articles. Here is the link to the published one, article online, in The HINDU opportunities page. 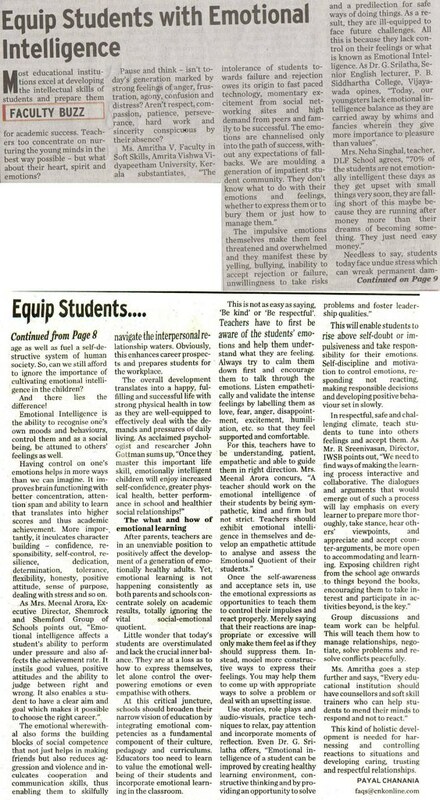 This article was written by Payal Chanania, of cnkonline, after interviewing a few educationists. I am including the text version here..
All teaching is designed towards preparing students for success in such a way that they emerge as responsible and grounded adults of tomorrow. Teachers are the guideposts that show them the way for achieving high-quality paths ahead. But attaining such meaningful development requires educators to hold themselves up to certain definitive standards. This comprises of the basic philosophy underlying their teaching and governing their conduct in the classroom. What standards do you expect of yourself? The personal vision or critical rationale that a teacher is committed to achieving is quite difficult to define. The challenge lies in carefully reflecting on and conceiving what you are really committed to (and how). This will prompt a true love for learning in the hearts and minds of the students. But encouraging active learning requires the educator to be equally passionate and committed to the subject, as it proportionately influences student motivation. Students will then be willing to push themselves, explore new dimensions and seek new possibilities. Promoting critical thinking and problem-solving is considered imperative as well. Imparting true understanding of the subject is an important teaching standard. Prof. R. Dheenadayalu, Dean (ICT), Saveetha Engineering College, says, “My personal vision is that every student understands the topic clearly and should be able to apply that when he encounters a problem.” Even Mr. Ishan Gupta, Founder and CEO, Edukart.com agrees, “We aspire to make our participants understand the concepts of the subject and also imbibe experiential learning.” Mr. Sethi especially mentions, “I should be able to connect new knowledge to today’s context, so as to be able to pass-on a better understanding to the students. Teachers also wish to build an engaging and joyful classroom atmosphere as it helps students truly understand and learn. Accordingly, they should draw on their expertise and aspire to make their subject matter as meaningful as possible. Developing good ethics and values is considered important as well. This calls on teachers to highlight the importance of hard work, perseverance, honesty, integrity, courage in the face of adversity and so on as the ultimate path leading to true success. The importance of fostering a collaborative, interactive and supportive environment is not overlooked either. Incorporating a variety of instructional strategies deserves a special mention as it enables teachers to easily adapt to diverse learning styles of the students. “Although there is no ‘right’ method for teaching a particular lesson, but a teacher should be efficient enough to choose the right instructional method depending upon concept, context, topic and needs of learner”, so says Mrs. Meenal Arora, Executive Director, Shemrock & Shemford Group of Schools. To achieve these teaching standards, educators have to model the expectations. Mr. Srinivasan explains, “I create experiences in the learning environment that enables learners to realise and comprehend the concepts through experiential learning, more than the theoretical lectures of the concepts. To sum up, teachers play a very strong influence in students’ lives. But the core effectiveness of the teaching community does not rest only in their knowledge of the subject but also encompasses the overall standards, characteristics and behaviour when they actually teach! Is the role of teacher limited to reciting their knowledge about a specific subject in the class? Is there undue pressure on teachers? When a child’s mental faculty grows to be eighty percent of an adult in the first three years of life, to ninety percent of an adult by the age of eight, and ninety-eight percent of an adult by the age of fourteen, every parent, adult or mentor in the learning environment of the childhood has immense role to play. The sloka is very much relevant in today’s modern world. Knowledge, by its very definition, is created by learner himself through the learning experiences, and can never be passed on. 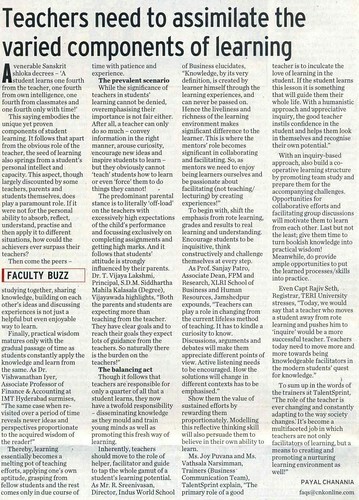 Hence the liveliness and richness of the learning environment makes significant difference to the learner. This is where the mentors and parents role become significant in collaborating and facilitating. Is education only about books, exams and marks? There is so much to the real world and also in the capability of a human being. What percentage of knowledge we apply has come from inside four walls of classroom? How much from outside the class? How many teachers from our life do we really remember? Why? it is only because of their way of facilitating not because of their knowledge? The learner (student) has to be at the centre with mentors (institution), parents (family) and the curriculum collaborating to enrich his/her learning environment. As mentors/teachers we need to love children and learners, enjoy being learners ourselves and be passionate about facilitating (not teaching/lecturing) by creating experiences. The Article as it appears in The Hindu, with quoting my response. Click on it to go to FLICKR and read in bigger fonts. Also can access the text format on The Hindu Online. Sreeni in Charcha Mein – DD News : Reforms in Indian Education System – Is coaching a necessary evil? 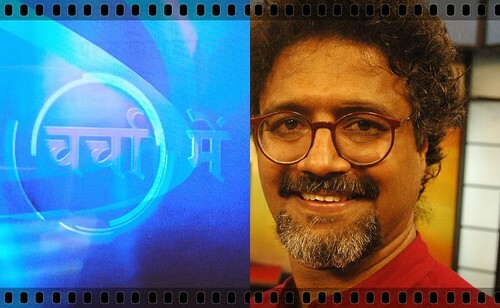 For the textual version of it that I blogged earlier, kindly visit Sreeni in charch mein – Is coaching a necessary evil? Living in Two Worlds – Femina Anniversary Issue 2011, a photo by Vasu.. on Flickr. 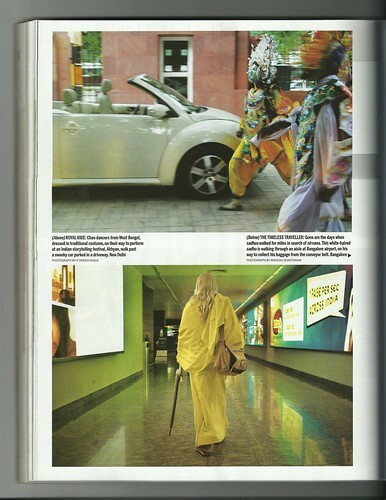 Three of my photos feature in the Anniversary Issue 2011 of Femina, October 14. 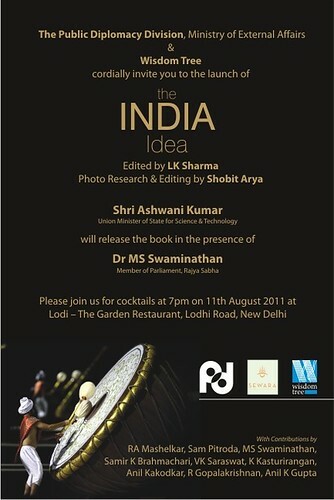 Glad to see them being picked up and be published along with those of outstanding photographers of India. I was asking myself a question – Have I reached the tipping point in my pursuit of photography? Since in the last two months three publications have featured my photos. It seems to be a good beginning. All these have encouraged me to think even more seriously. I humbly thank each one in my life for encouraging me all the way in every endeavour. Penguin India : ‘India: A Portrait Through Your Lens’ – Best 5, a photo by Vasu.. on Flickr. Has the tipping point in my photography happened. I am really taken by surprise by the slew of recognitions coming my way in the last one month. 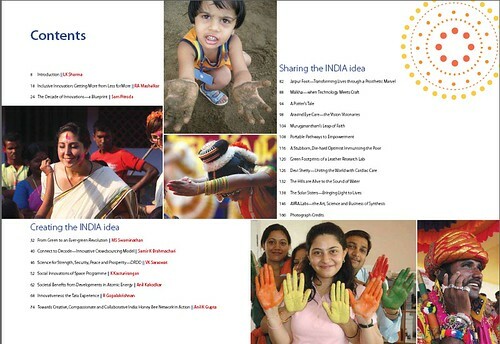 – Six photos published in “The India Idea” book by Wisdom Tree that is picked by Ministry of External Affairs, GOI for INDIA OUTREACH. – Femina has picked three photos to be published in their Anniversary issue – Oct 14, 2011. Kindly click on the link My publications and contributions in media to have a look at my humble recognitions in media. 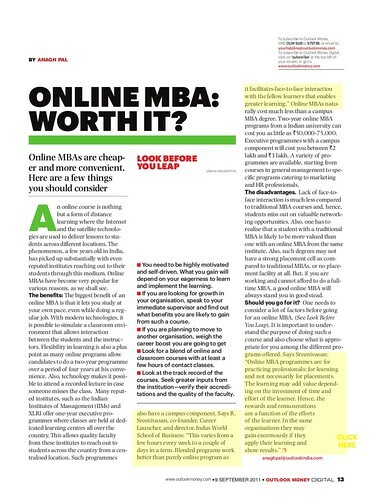 Outlook Money – Online MBA – Sreeni’s interview, a photo by Vasu.. on Flickr. Very interesting journalism, I must say..
National HRD Network on the occasion of 7th Young Managers conference released the Book – Young Leaders success code, The inspiring stories of young achievers. This book features 11 young achievers, that includes R. Sreenivasan, Co-Founder, CL Educate (Career Launcher). In the conference, Sreeni was invited to be part of the panel discussing “The entrepreneurial Innovations” along with Mr. Aquil Busrai, Founder Director, Aquil Busrai Consulting (Session Chair) Mr. Lakhamraju Mohan, Director, Great Lakes IEMR & Vice Chairman, Mangalayatan University; Mr. Pankaj Bansal, CEO and Co-Founder, People Strong HR Services; Mr. Bimal Rath, Founder, Think Talent Services. Aquil chaired the panel discussion. 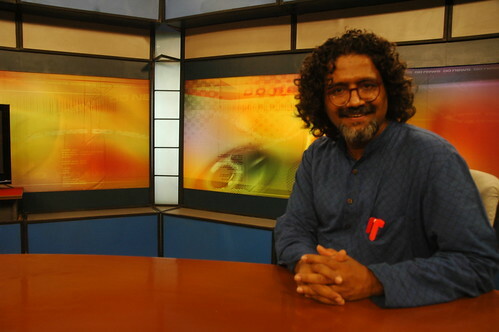 Sreeni in DD News Charcha mein Sept 03, 2011, a photo by Vasu.. on Flickr. The Coaching classes seem to have become a parallel education system. It was looked down upon a couple of decades ago. Today it has become integral to just the thought of education. Students skip classes to attend coaching. Why? Fewer colleges, and the competition has become so stiff. Look at DU happenings on admissions at 100% cut off. Then coming to best of the institutions, only way to select is through competition, and coaching institutions help the aspirants to excel in there which the colleges are not able to do. It is a question of demand and supply that is driving the students to go to the coaching institutions to be one among the best. Unfortunately in our country it has become competition system, where is the education system. 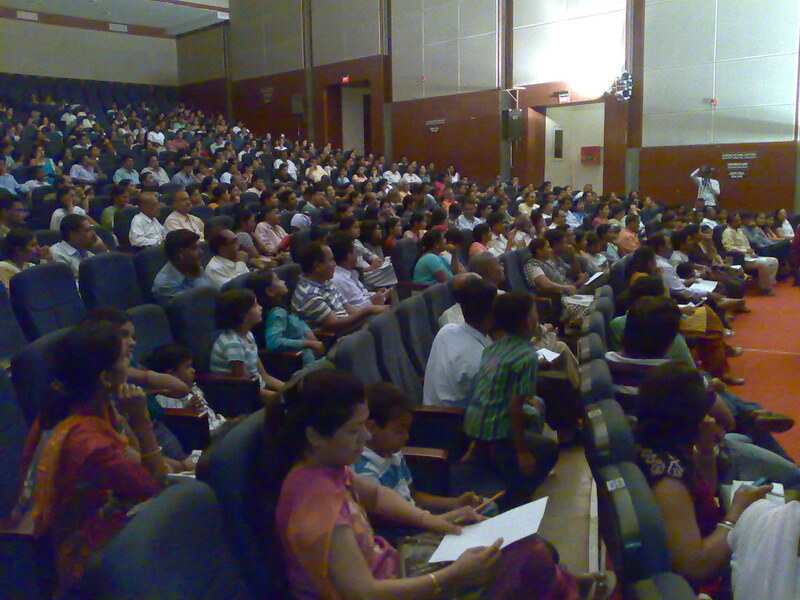 Inspite of NCF 2005 implemented to help learning, the schools are continuing to conduct exams every week. So only marks have come to be the important factor, neglecting the learning. Competitive exams test the concepts against time. Coaching institutions are able to help them get clarity in the concepts and also apply them to excel in such competitive scenario. So it is not just about demand and supply, but also the quality of learning. Coaching has become a distortion in education system. It is stroking hyper competition. Perhaps it is bringing uniformity in the competition, may be helping the weak. Our institutions have to review the gap between what is being taught in the classrooms and what is being sought for in the competitive exams, or even the other way around. why not we orient our school systems help the students. At UPSC we always looked at the overall personality and leadership potential. In schools we need to work on these. How can we help the students with only one teacher with a class of 60 and 80. Coaching is not bad. It has been helping aspirants to gain that all round personality, build confidence. 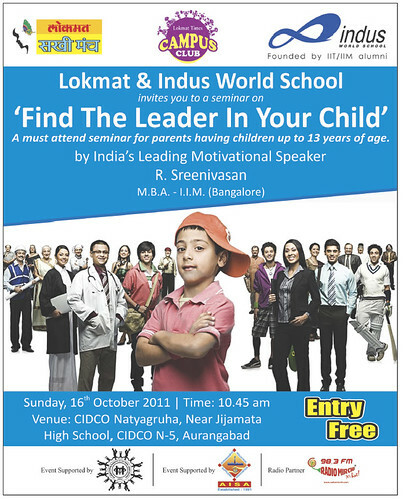 Though my son did not need it going to IIT and IIM, but I see there is a need for many to gain the edge. When I was in college, coaching did not exist or even later it was shunned. But now when we look at the education system, we are not getting quality teachers into the system. We are short of about seven lakh teachers, a recent RTI revealed. I do not agree that coaching stokes learning, it is all about drilling. We need to identify real talent and nurture. The market forces are pushing every one to head there. The real need is the focus on our education system right from Elementary schools. There are three levels of coaching : IIT & Medical – knowledge intensive; Civil cervices – Broad perspective; Bank PO – aptitude based; There is a great disconnect between the needs of a competition, whether for a job or analytical skills they demand and the mainstream graduation curriculum. University syllabus focuses on creating scholars while the coaching focuses on techniques to solve the problems that is the need of the competition. The standards in the education system has fallen drastically. Prof Yashpal committee report on Higher education talks about it. We are not implementing the NCF 2005. We need to have an ANNA effect on Education reforms. We have talent across hidden all over. There is a gap between what is being taught in schools and colleges and what the entrance tests demand of them. Only way is to help them bridge the gap, how else can we help the talent reach those portals? Winding up : Neelam – Is there a need to bring regulation into the coaching industry to make it responsible and deliver. Regulation and rules have not contributed to any. We have seen the license raaj and we are seeing many scams. 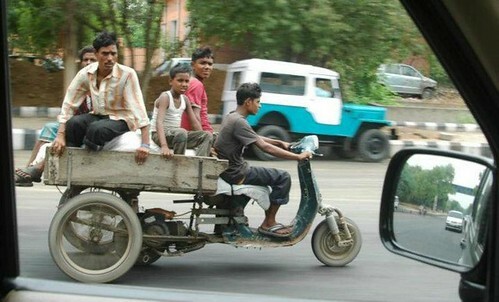 Look at the India cricket team. We did not hear of any Coach a decade ago and today we see chief coach, batting, bowling and fielding coaches. Why? The competition has become immense and we cannot run away from it. We need to pull up the levels in our mainstream education system. We recruit people from IITs and IIMs to teach not only in coaching but also into our school system. Sixth pay commission has made teaching a little more acceptable. We need to recruit quality. 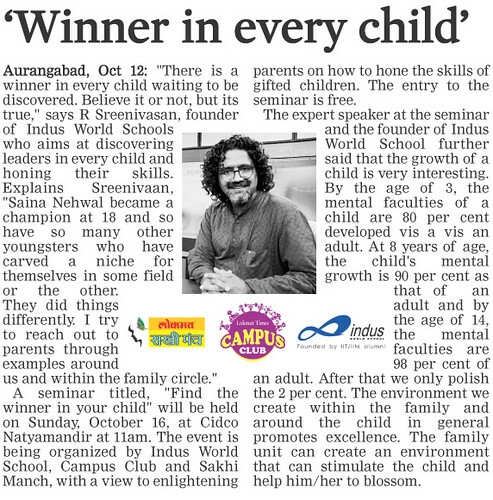 Our endeavour should be to make our education system more learning centric and excite children. Why not bridge the gap in the school. Automatically everything else will fall in place. Market forces are the decision makers. If I look at the coaching industry, we had 6-8 big players now reduced to 2-3. So the quality institutions will excel, we should not worry about it. How can I make the things better in our system. How can I create pride in the institutional system. Bridge the syllabus. Bring reforms that have been shared in the Knowledge commission and Prof Yashpal’s report. There are many who go to the best institutions without coaching, but majority do need it. Never regulations have ever helped. I have been in education space for 21 years and in HRD min for five years. I know for sure the average talent in college is better than those in Coaching institution. We need to think how to make them contribute to the larger cause. We need to stop the commercialization of education. 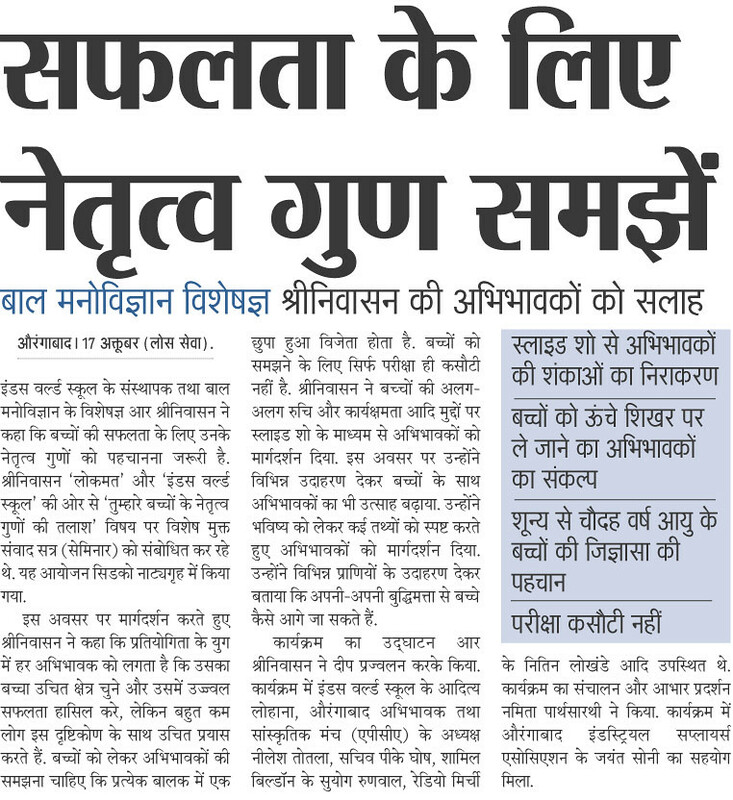 This can happen only when our mainstream education system – schools and colleges – see reforms. As long as we do not deliver what to be delivered in schools, we have no other choice. It was in the month of March 2011, I got a call from a gentleman, Shobit Arya, saying that he has a publishing house and is publishing a book that has a write-up by Prof. Anil Gupta of IIMA and National Innovation Foundation (NIF) and he wanted to use a couple of photos from my flickr stream of Shodhyatra, the bi-annual walk to share and also discover and document grass-root innovations, by Honey-bee network, a brain-child of Prof Anil Gupta. I was delighted to contribute a couple of photos for the article by one of my Gurus. Meanwhile, Nandini gupta, editor of Shobit’s publishing house Wisdom Tree, a well-known name in the space of Quality books, started interacting with me about a few more photos apart from Shodhyatra. Finally I was surprised to see about half-a-dozen photos being selected. In the above content page, two of my photos are – The child playing in the mud, and the mentors with painted palms – both from Indus World School, Indore. Self-disciplining – Anandita disciplining while Mallika and Sakshi are interacting, three children from Ananda, Indus World School, Hyderabad. Books and publications, a set on Flickr. 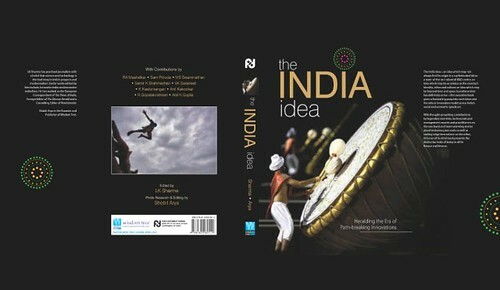 I got an invite from Nandini a couple of days ago to the launch of the book, and only then I realized the gravity of the book – The INDIA Idea. When I walked in for the launch of the book by Mr. Ashwini Kumar, an erudite minister of state for science and technology, in the august presence of Dr. M S Swaminathan, first thing I saw the gathering of many brilliant individuals who have done our country proud. I had wonderful interactions with a few of them, learning and gaining by the end of the day. Yes, I played the Dgembe with friends from Delhi Drum Circle too!! The book is the third in the series of coffee table books published by the Public diplomacy division of Ministry of External Affairs, for spreading the message of The INDIA Idea across the embassies around the world. I am indeed delighted to see foresighted diplomats like Mr Suri, who are making the difference. As Dr. M S Swaminathan quoted Pt. Nehru, “We are a bunch of poor people inhabiting a rich country”, we certainly need ‘richer’ people to promote our rich country. We need more such diplomats and bureaucrats to make the difference to our MOTHER INDIA. I shot a few photos of the evening, including the pages of the book that I had my photos, only to find when I reached home, the Memory card of my camera crashing. I could not retrieve any photos. Thanks to Nandini’s mail she sent across with the pdf of the pages that I discovered a couple of hours ago, my compelling desire to blog this very night is coming to an end. After all the hours I spent trying to retrieve the photos, this is welcome end. But, what stuck me in all this is, ‘passion paves the way’. All people who have contributed to the book are very passionate about their work and have contributed immensely to our nation. Yes, my small contribution to the book is a few photos. I feel good about it. Even in this context, my passion of capturing the precious moments wherever I travel and documenting my work to some extent on the web and disk (need to be more organized though), has been rewarding in every sense. Over the years my body of work has been contributing to quite a few publications, within our organizations and elsewhere too – including tourism ministries a couple of countries, calendars, travel websites, book publishers around the world have been seeking photos etc. I am delighted about my work and my small contributions. Yes, passion paves the way and it pays too, in quite a few ways. Sreeni on DD’s GeNEXT, a photo by Vasu.. on Flickr. Self, a set on Flickr. Hope to anchor a program on careers beyond and entrepreneurship.. soon! !